When visiting Emilia Romagna, you can't help but get excited over cars. Known as the land of motors, this Italian province takes fast cars seriously. When there, you must have a Ferrari experience at Auto Dromo di Modena and the Ferrari Museum. How can you not when such iconic manufacturers like Enzo Ferrari and Ferruccio Lamborgini were born and raised here? Our first Italian fast car experience took place near the town of Modena, the birthplace of Mr. Enzo Ferrari. 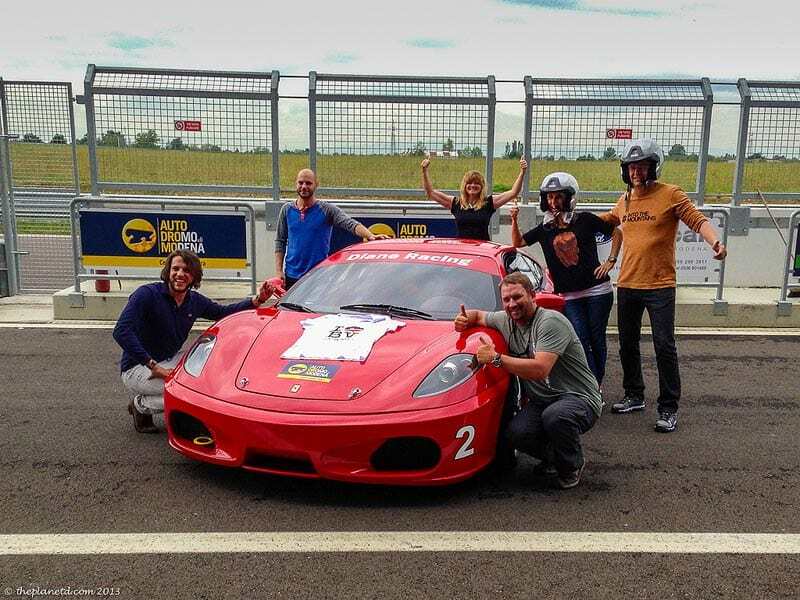 Here you can have the ultimate Ferrari experience, exploring two museums and having the chance to take one for a spin on the track at Auto Dromo di Modena. Isn't everyone's fantasy to get in a race car just once in their lives? We've missed a couple of opportunities in the past to drive on a track, so we were so excited to finally get behind the wheel. Anyone can drive a Ferrari, as long as they have a drivers license and some extra cash. 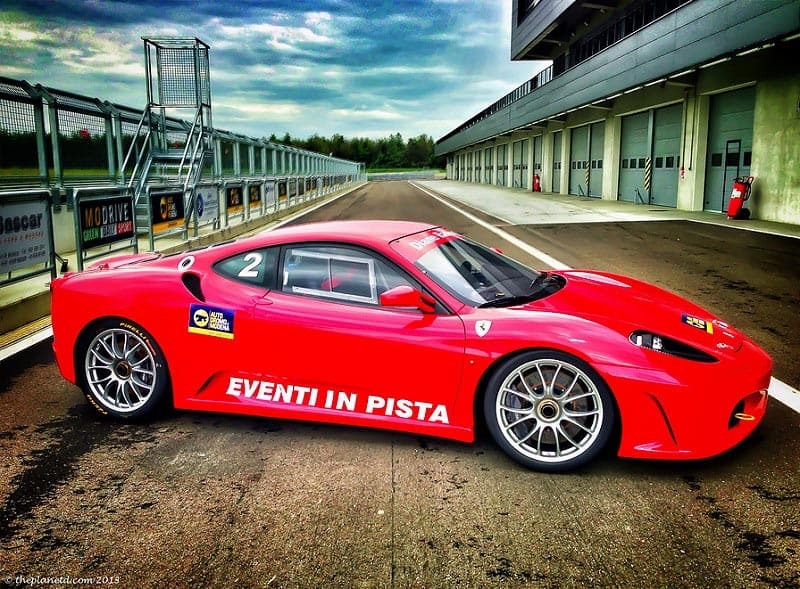 Driving experiences at Autodromo di Modena start at €350 but to have the “Ferrari Red Experience” it's €650. 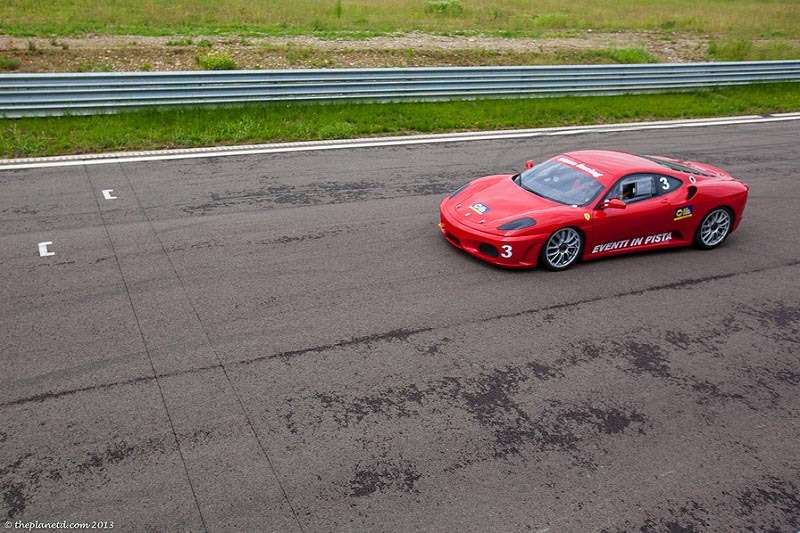 The Red Experience includes 5 laps around the track with an instructor. If you are a car lover, you'll find the price worth every penny. It you're not, well, you're still going to love it. What a rush! We watched a video of the course where our instructor Pietro talked us through what we'd be doing, where we'd be braking and where we'd be able to let the car go full throttle. We then got ourselves geared up with helmets and intercom so that we can hear and speak to Pietro, strapped into the drivers seat and had final instructions from before speeding off on the track. 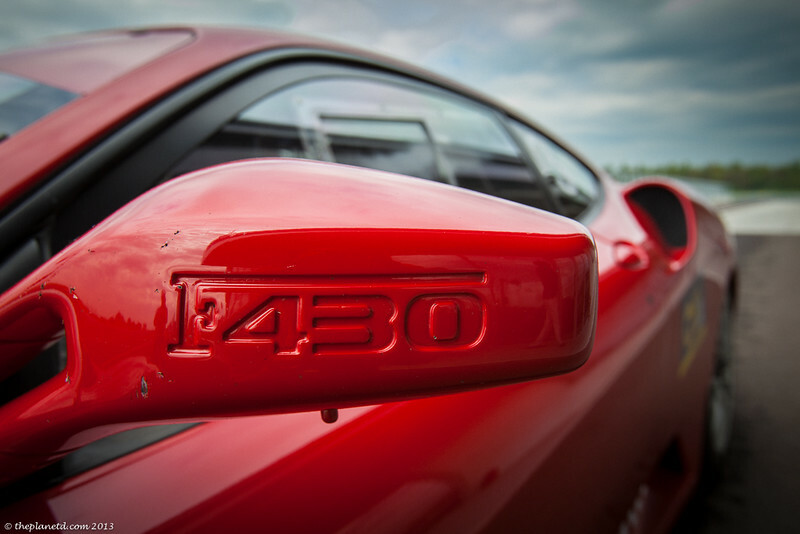 Today we'd be driving the Ferrari F 430, it cannot be driven on the road. This baby is made for speed. if you're worried at all about shifting gears, don't be. This car has no clutch and the 6 speed gear shift is a feather shifter on the steering wheel. All you have to do is listen to the rev of the engine to decide when to shift. It's quite easy actually. You just have to listen to Pietro's instructions and everything will be fine. The car starts with one swift push of a button and in no time, we were speeding around the track. It's quite a thrill and you feel totally confident with the help of your instructor. Our instructor Pietro told us when to brake, and where to steer when coming out of corners. If you are concentrating too hard and forget to shift, he'll tell you what to do, and if you are approaching a bend too fast, don't worry, he has a brake on his side of the car and will brake for you if you don't get the job done. When we came to the straightaways, we could really let her rip and Dave even managed to shift right up to 6th gear. I felt foolish afterwards when Dave asked me if I got into 6th and I replied “I forgot there were 6 gears and I stopped shifting at 5!” Oh well, it still felt fast to me. Our party of 5 bloggers taking part in Blogville took turns on the track while cheering each other on. We were taking the media tour so we only got a taste, but two laps was still awesome and enough to give us the chance to go around once to feel it out and use the second lap to have some fun. I can't imagine how fast we'd be going if we had another three laps to find our comfort zone. After we finished, the drive, the adrenaline was pumping high. It had almost the same feeling you get after a skydive or flying a stunt plane. It may not feel as terrifying as the other two beforehand, but driving a ferrari gives the same rush afterwards. You're definitely on a high. It's one of those moments that is a once in a lifetime experience and it's something that makes you feel all giddy inside. Lucky for us, our Ferrari experience didn't stop there. To keep the mood going, we took a drive to the Ferrari Museum in Modena. 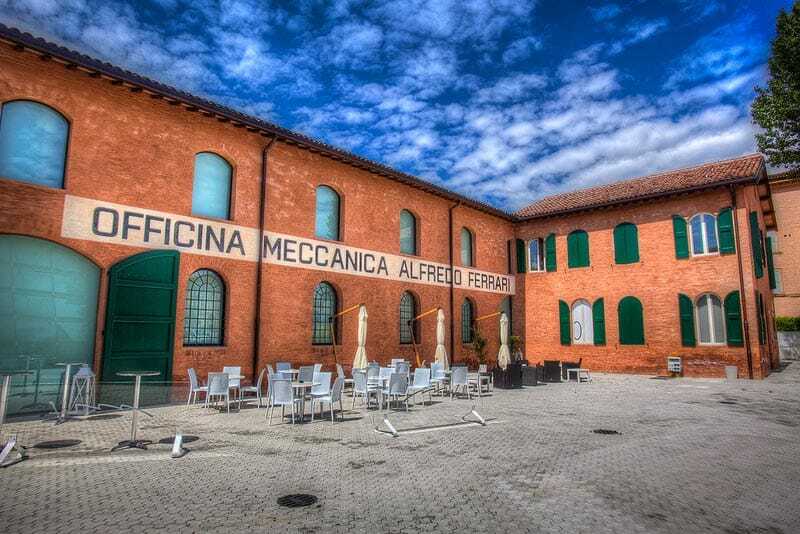 Ferrari is so popular in Emilia Romagna, that there are not one, but two Ferrari museums. The first, Enzo Ferrari's home was more interesting for us than the second. At the Museo Casa Enzo Ferrari, you will see the home where Enzo Ferrari was born and get a glimpse into the man behind the myth. Not only will you see his home, but right beside it is a futuristic gallery housing vintage Ferraris. 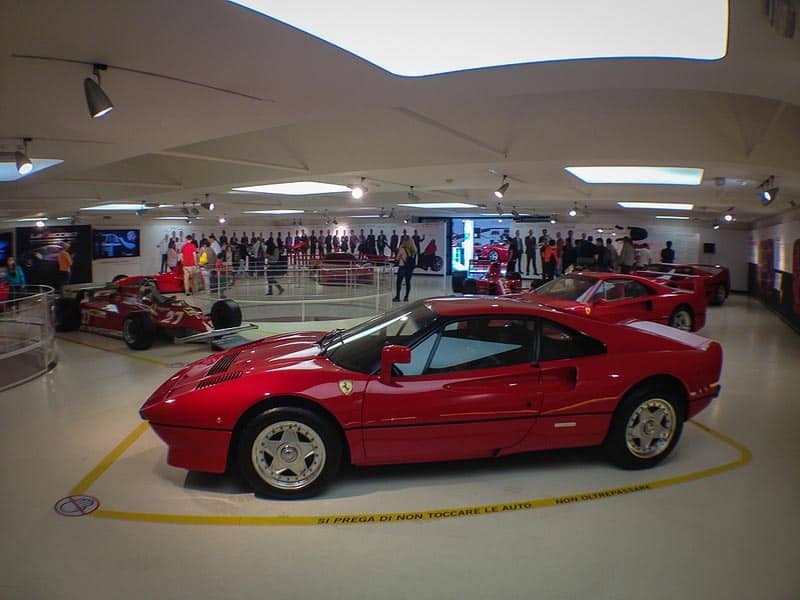 Once you've had your fill of the classics, you can catch the shuttle to the Ferrari Museum in Maranello. The cost of the shuttle is €10 per person return and it's about a half hour drive. It's here that you'll see the show stoppers. All the Formula 1 winning ferraris are on display from 1999, ferraris from the movies, ferrari concept cars, videos, race simulators, engine sounds…you name it, it's got it. 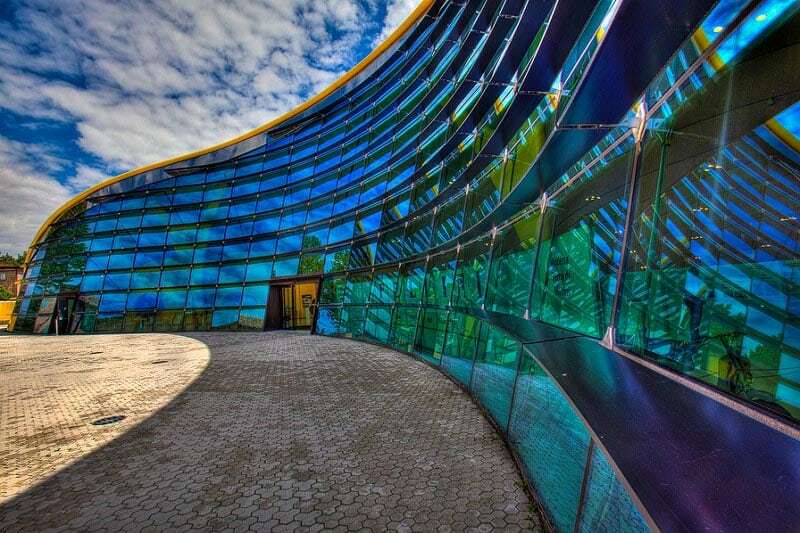 The Ferrari Museum in Maranello is one of the most popular attractions in the area. It's very crowded and you'll have to be very patient to take photographs free from people, but it's pretty amazing to see all these cars on display in one place. 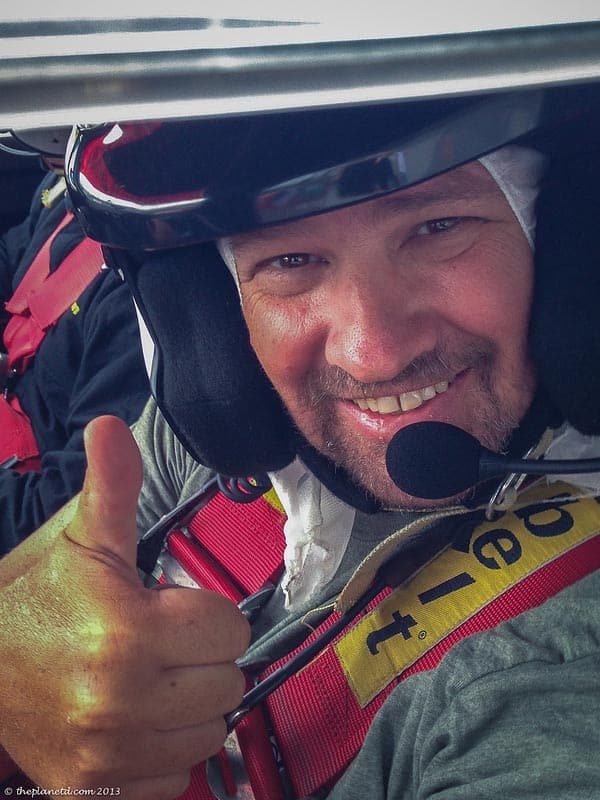 If you're a race fan and love fast cars, this experience is definitely for you. Take an entire day to make it all about Ferrari. Start at the track in the morning, head back to Modena for one museum, catch the shuttle to the next and you're done! You'll certainly have gotten your fill of cars and go home completely satisfied that you now know everything about Ferrari. For more information on the Ferrari Experience at Autodromo di Modena and the Ferarri Museums, Check out the links below. Blogville Emilia Romagna – Follow Travel Bloggers through 2013 as they explore the Emilia Romagna Region of Italy. 16 Responses to "Auto Dromo di Modena and Maranello Ferrari Museo- The Ultimate Fast Cars Experience"
It must have been incredible, to drive such a car! We were in Florence a couple of years ago and we found a company offering Ferrari driving experiences: it was around the Florentine Hills rather than the track, so definitely less adventurous, but my brother in Law who tried (it was my present to him, he is car obsessed!) said it was one of the most incredible driving experiences he ever had. Even just looking at the Ferrari, I can easily believe it! I believe you are right. I think it might be every guys dream to get behind the wheel of a race car at least once. That looks like one heck of an experience! Looks like a pro race car driver, Dave 🙂 Exterior of the gallery looks very nice. But I guess inside is way better with all the Ferraris. Ha, Dave will be happy to hear that! Yes, interior of the ferarri is amazing. So sporty yet luxurious.